Island Mazda near Jackson Heights New Jersey proudly presents the all-new 2017 Mazda6. The 2017 Mazda6 was designed with all of your sporty needs in mind. With a large center console and a sleek dash and instrument panel that complement the available leather-trimmed sport seats. With available high-grade Nappa leather seats, the Mazda6 offers you and your passenger the utmost comfort during every ride. The 2017 Mazda6 performance is never compromised for fuel efficiency. The makers over at Mazda came up with a way to enhance not only performance but fuel efficiency as well. With Skyactiv Technology you receive a driving experience better than ever before with an up to 35 MPG Highway. 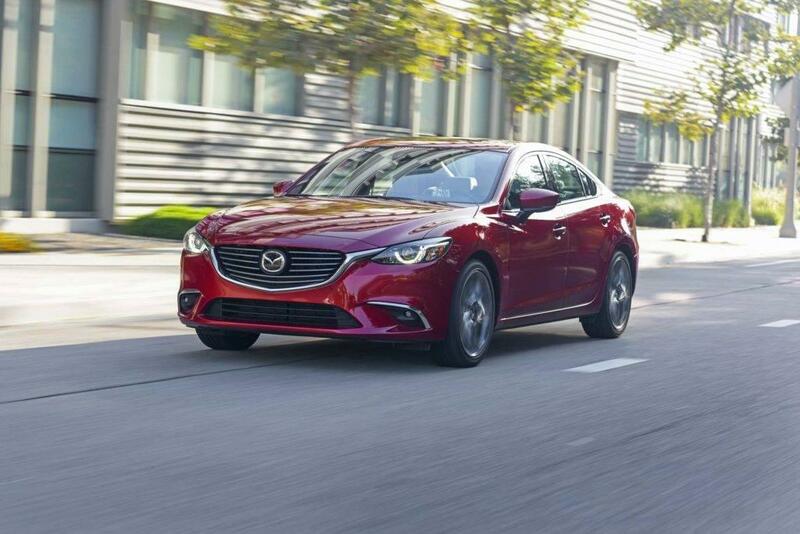 The Mazda6 at Island Mazda near Jackson Heights New Jersey does not cut any corners on style or efficiency. The full-color touch-screen display on the center console brings you information, entertainment, and a connection to the outside world. If you are in the market for a brand new 2017 Mazda6, then head on down to Island Mazda near Jackson Heights New Jersey today. All 2017 Mazda6 models receive G-Vectoring Control, which uses nearly imperceptible engine modulations to ease your own nearly imperceptible steering corrections. Base Mazda6 sedans receive a 7-inch infotainment screen as standard while Touring and Grand Touring models receive active safety and driving aids like automatic emergency braking and lane-keeping assist as standard. If your practical side needs a sedan that does usual sedan duties but your heart craves something that quickens its pulse when the road curves, the solution is the Mazda6. Throw in impressive efficiency, great looks and — for those who wish — a crisp manual transmission, and you’ve got a winner. Click here to find out more about getting your next 2017 Mazda6 from Island Mazda near Jackson Heights, New Jersey!